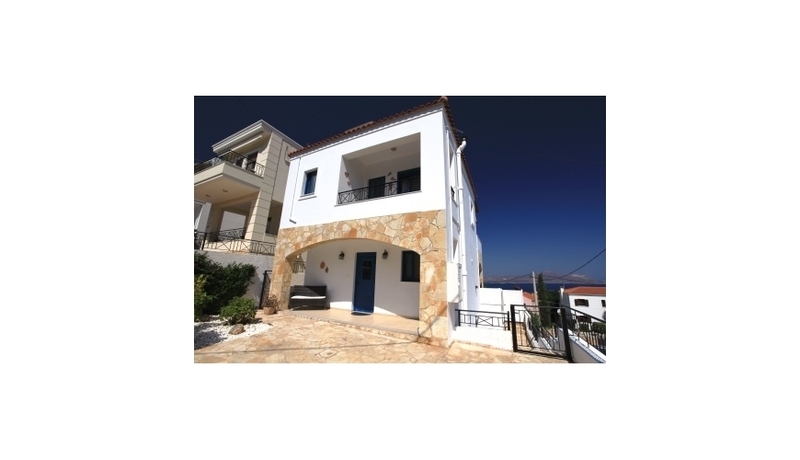 An extremely attractive 5 bedroom villa with private pool in the popular village of Plaka. With breathtaking Sea views across Souda Bay. 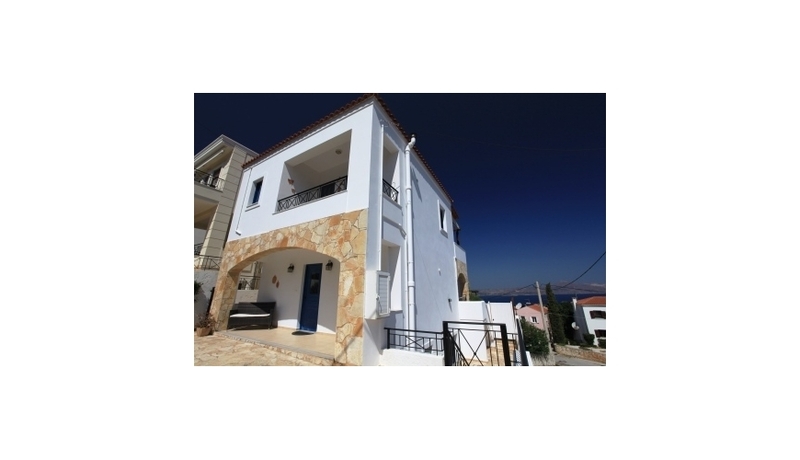 This very well finished and easy to maintain villa is just a short stroll from the wide variety of tavernas and shops of Plaka and the nearby golden beaches of Almyrida. This extremely well located villa was completed to a very high standard in 2008. 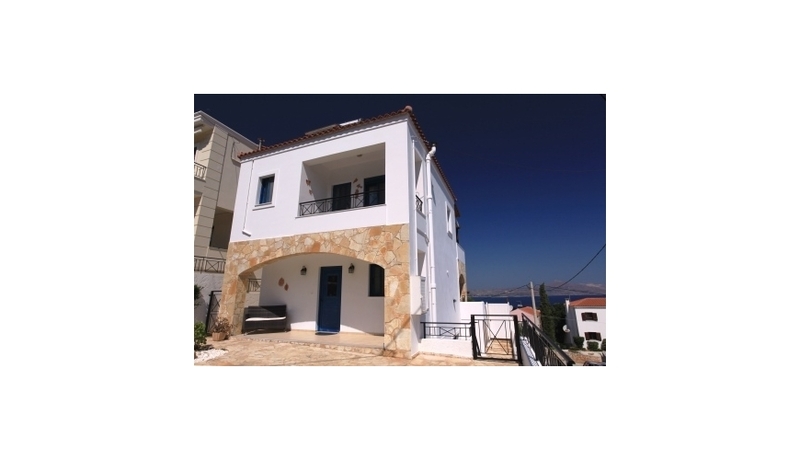 Set across 3 floors, the villa offers masses of space for a large family and their friends for holidays or more full time living. Sat on a private, easy to maintain plot with private pool, terraces for soaking up the sun and a wide variety of external covered seating areas. All outdoor areas enjoy wonderful sea views and the traditional Cretan Blue and White colours and pretty stone detail make this a very attractive villa. The upper level with a light and spacious, open plan kitchen, dining and living area. The kitchen is high quality and fully fitted — with all built in appliances. This area leads out to the extensive covered upper terrace which makes the most of the amazing views. Also on this floor is a walk in shower room and a further terrace to the rear. The middle floor has 3 good size bedrooms—2 double and 1 single. Both larger bedrooms and patio doors to the pool and terrace areas. The main bathroom is very spacious and has a full bath and shower plus vanity unit and towel rails. The lower floor is accessed internally and offers great separate guest accommodation. There are 2 good sized double bedrooms both with fitted wardrobes. There is a large living area which could easily accommodate a small kitchen area if required. Also on this level is a good size shower room. In addition the villa has a separate, very large utility room and storage area plus boiler room. What does adding 4 to one result in?